Looking for foreign auto repair in the Rockville area? You've come to the right place. Ormsby Auto provides complete auto care, repair and maintenance services for foreign vehicles of all makes and models as well as domestic. 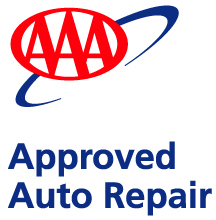 Our experienced ASE Master Technicians are trained and certified to service European and Asian imports, such as Mercedes Benz, BMW, Audi, Volvo, Mini Cooper, VW, Fiat, Jaguar, Land/Range Rover in addition to Lexus, Acura, Infiniti, Toyota, Honda, Nissan, Subaru and Hyundai just to name a few. Whether your import needs major repairs, extended warranty work, scheduled maintenance or just needs an oil change, your foreign car is in good hands at Ormsby!